In August, when the Legislature’s special session on health care and developmental services was in still in session, we criticized Democratic leaders for not bringing forward good bills by their Republican colleagues. Now, with more than two months of hindsight under our belts, that obviously partisan inaction looks even worse. If Senate Bill X2-4, by Republicans Jim Nielsen and Jeff Stone, had passed and been signed into law, it would be well on the way to producing the desperately needed 10 percent increase in funding for developmental services that the Lanterman Coalition sought in the 2015-16 budget. Instead, Gov. Jerry Brown stiffed the developmental community in the regular budget process and punted to a special session, which has produced nothing. But it’s not too late. The special session is still officially “on,” with a Senate-Assembly conference committee formed to address the problem. Unfortunately, that committee has not held a single meeting. If they continue to ignore the one bill that provides hope for additional developmental funding this fiscal year, Democratic leaders would doom nearly 300,000 of their most vulnerable constituents to another year of shrinking services. After seeing their resources from the state shrivel for two decades, that’s not what the developmental community deserves. Quite the opposite. Californians with developmental disabilities and their loves ones and those who care for them deserve the immediate 10 percent funding hike along with a stable revenue scheme that will bring the system back to the minimum level of services promised in the 1969 Lanterman Act. SBX2-4 would sweep unanticipated revenues — tax money above and beyond that budgeted for last fiscal year and this one — into funding for developmental services and Medi-Cal. It mandates that the director of the state Department of Finance, by Jan. 10, 2016, and again by May 14, determine excess revenue, subtract the amount that must go to schools under Proposition 98 and to the state’s rainy-day fund under Prop. 2, and direct the rest to developmental services until that 10 percent increase is funded, retroactive to July 1, 2015; any money left over after that would go to Medi-Cal providers. That’s easily enough “extra” cash to give developmental services the 10 percent funding increase, which would cost about $350 million. The Legislature should simply get off the dime and pass SBX2-4. 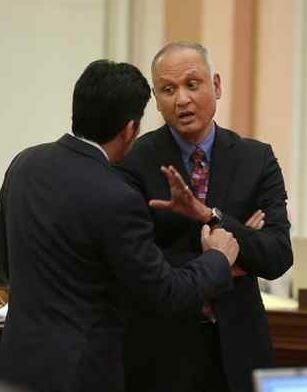 Sen. Ed Hernandez, D-West Covina, failed to bring SBX2-4 forward to be heard as chairman of the special session’s Senate committee. 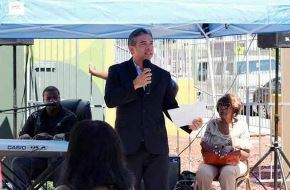 Now we urge him and Assemblyman Rob Bonta, D-Oakland, co-chairs of the conference committee on health and developmental services, to convene their committee and to hear and debate SBX2-4 while the money is rolling in to state coffers. The developmental community deserves no less. New Horizons Welcomes Halloween Trick or Treaters New Horizons 9th Annual Holiday Cheer Event!